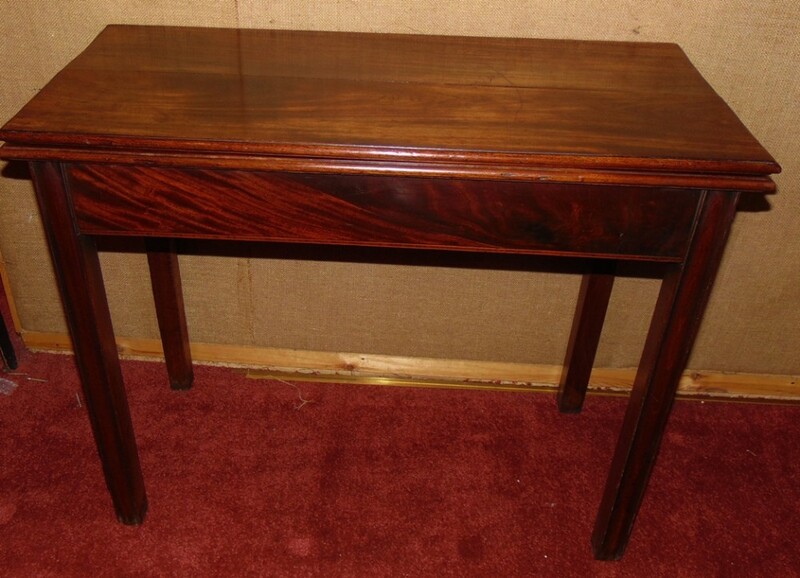 George III mahogany turn over tea table with plain veneered frieze and standing on moulded square legs. Single gated leg to back swings out to support top. 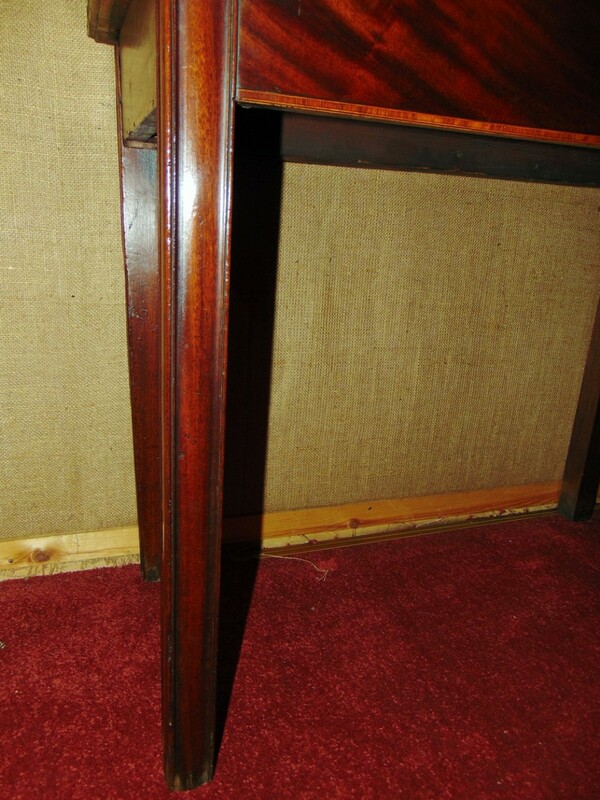 A;ll in fine condition, but with a couple of marks to top. 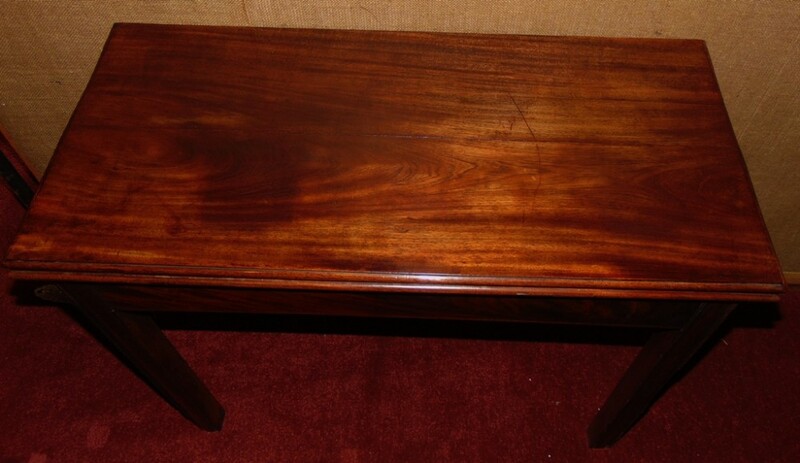 Good rich colour with fine waxed patina. PRICE INCLUDES DELIVERY WITHIN MAINLAND U.K. 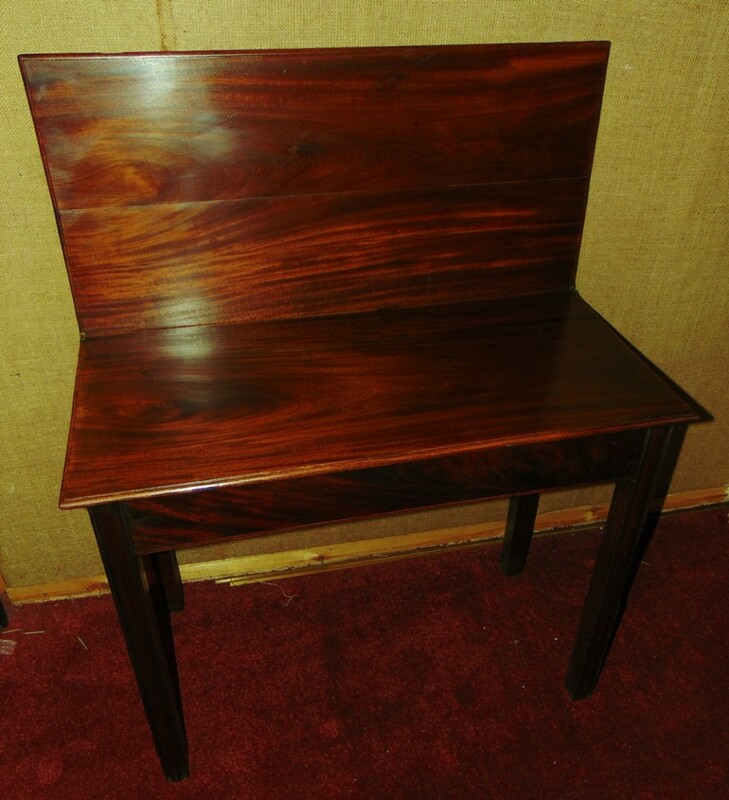 The Georgian mahogany tea table. 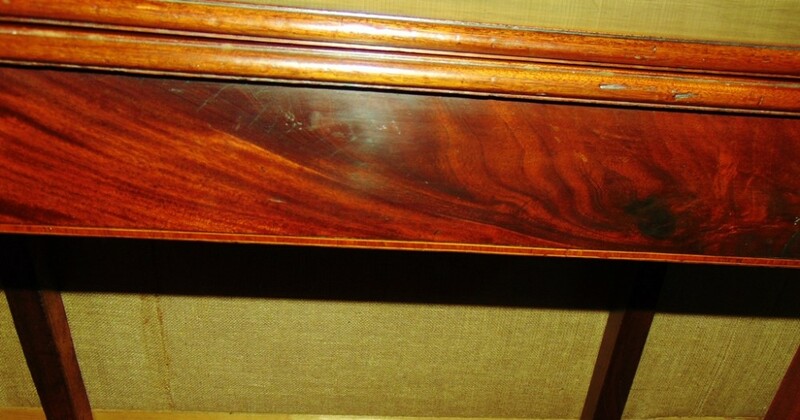 Circa 1770 has been added to your saved items.